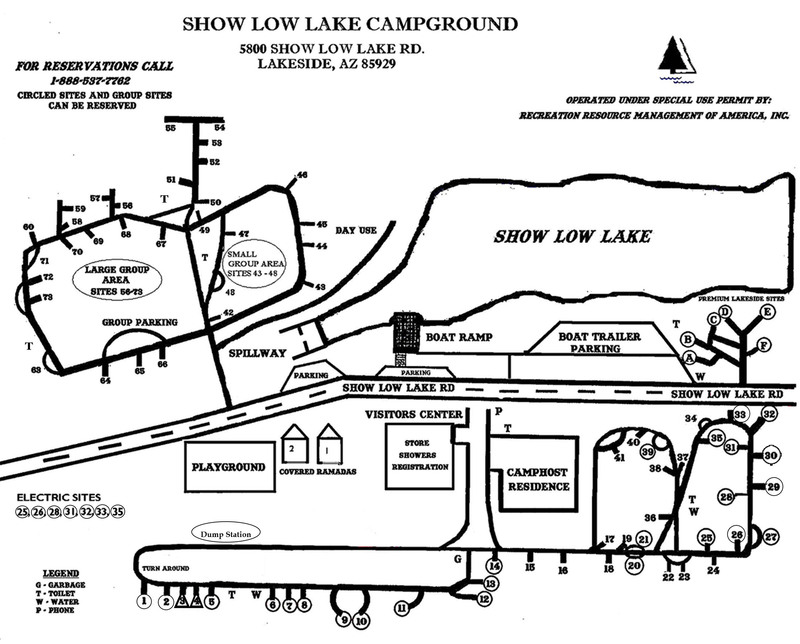 Start planning your camping trip to Show Low Lake by contacting us and making your reservations today. 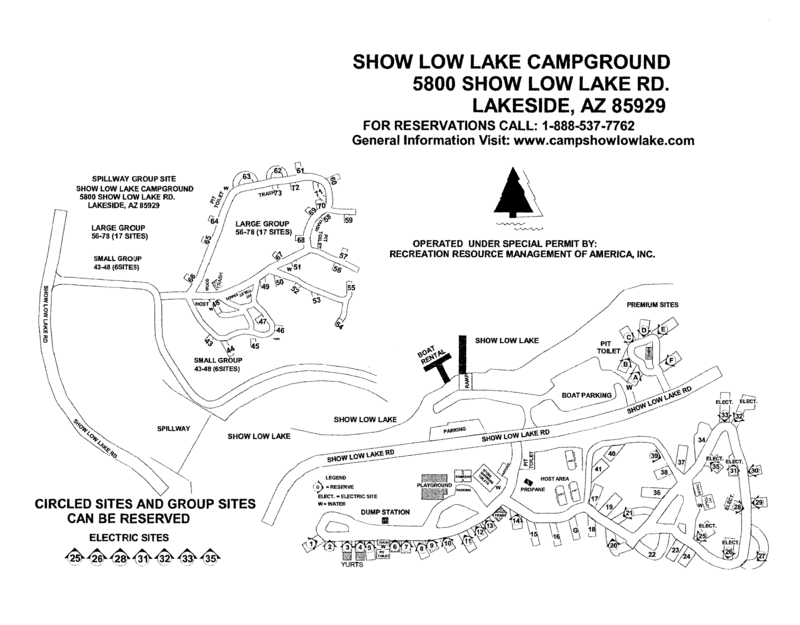 We will be happy to reserve your campsite at Show Low Lake campground over the phone. 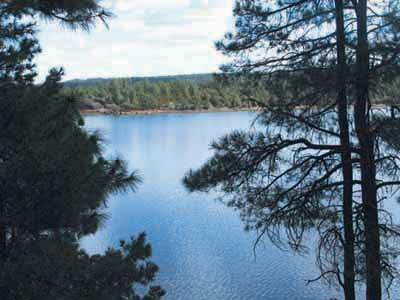 RESERVATION WINDOW: Recreation Resource Management of America will begin taking reservations for Show Low Lake Campground on March 1st of every operating year. Peak reservation period will start the first of May and end the last day of September. Any other time, the park will be in its walk-in season only and campers must camp on a first come, first serve basis. If you do not cancel within 24 hours of your arrival day or are a no show, you will also be charged the first nights fee in addition to the $10.00 cancellation fee. CANCELLATION POLICY: If you cancel more than 24 hours before your arrival day, your credit card will only be charged the $10.00 reservation fee and $10.00 cancellation fee. However, if you call to cancel in less than 24 hours of your arrival day or are a no-show, your credit card will be charged the above fees as well as the first night's fee. RRMofA WILL NOT refund for early departures due to inclement weather or non-emergency issues. PAYMENT POLICY: You must have a valid credit card (Mastercard or Visa) to hold your site. If you cancel your reservation, the above fees will be charged to this credit card. PAYMENT METHODS: Payments can be made by Visa, MasterCard, check, money order, traveler's check or cash. Your credit card will not be charged until your arrival at the park. If you cancel your reservation, the appropriate fees will be charged to the credit card you supplied to hold your site. CONFIRMATIONS: Once your reservation is completed, you will be emailed a confirmation letter. Please have this confirmation letter with you when you arrive at the campground. DISCOUNTS: The USFS Interagency Pass will no longer be accepted at Show Low Lake Campground. Please refer to our calendar of events to review our promotional weekends. EMERGENCY CLOSURES: In the event of an emergency park closure, RRMofA will attempt to notify customers and make other camping arrangements, or process a refund. DISCLAIMER: RRMofA reserves the right, when necessary, to modify any reservation policies. RATES: Click here to review all campground and rental rates. SITE LOCATIONS: Click here to see a detailed map of campsite locations. If you have further questions, you may find answers on our FREQUENTLY ASKED QUESTIONS page or just feel free to call us at 1-888-537-7762.